At the NZ Bishops’ Conference meeting in October there was an unusual cross on the table at the Wellington Catholic Centre. 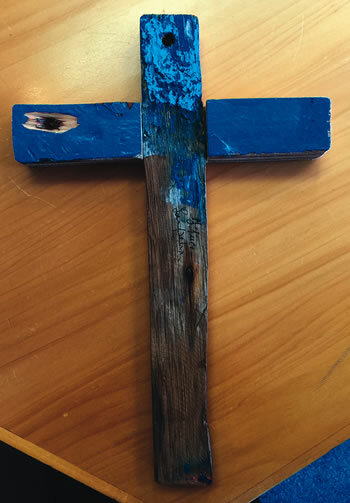 The wood of the cross was partially painted with marine paint, blue, green and white. It was damaged where screws had ripped out. It was battered and salt-stained. It is one man’s response to a crisis. Pope Francis and the British Museum, among many others, have crosses like this one. 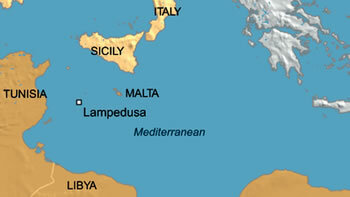 The Sicilian island of Lampedusa is a focal point of the refugee crisis where hundreds of thousands of desperate people have made the treacherous crossing of the Mediterranean in flimsy boats attempting to escape from war and grinding poverty. The shores of that island are littered with the broken hulls of the vessels used by the refugees. He arranged for the parish church to have a big cross of the rough wood above the altar, to remind the congregation to pray for the refugees, and he made hundreds of little crosses to give to each refugee as a symbol of hope. Parishes throughout Sicily asked him to make crosses for them. 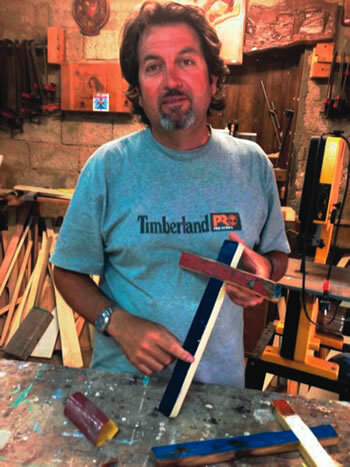 Pope Francis asked him to make an altar and a chalice from the timber. The Anglican Centre in Rome celebrated its fiftieth anniversary in October 2016 and at a combined vespers at the Jesuit Church Caravita, presided over by Cardinal Parolin and the Archbishop of Canterbury, gave some of Tuccio’s crosses to the Anglican and Catholic bishops involved in the ecumenical dialogue. Cardinal John Dew and his Anglican partner in dialogue, Bishop Ross Bay of Auckland, attended the anniversary celebration representing the New Zealand Anglican-Catholic dialogue and they both brought their “Lampedusa Crosses” back to their dioceses so that we can together pray for the refugees. 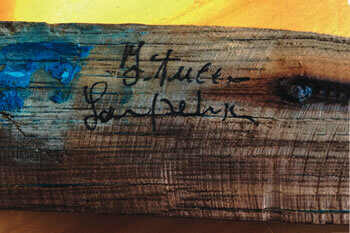 Father Duffy, a good article on reclaiming the shipwrecks of poor souls to create crosses. Father Duffy did you ever get the email with the pictures of the Cursillo crucifix I sent you?